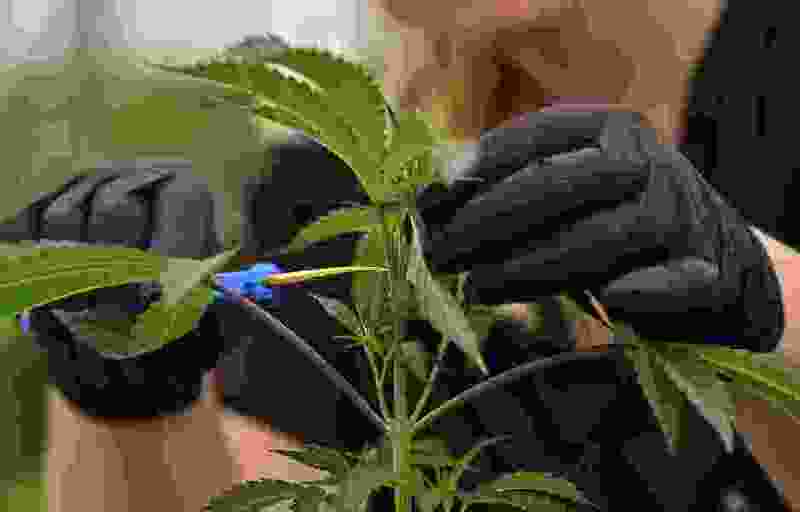 (David Dermer | The Associated Press) In this Sept. 20, 2018, file photo, an employee at a medical marijuana cultivator works on topping a marijuana plant, in Eastlake, Ohio. Missouri joined the long list of states allowing medical marijuana, but it'll likely be late next year at the earliest before people with serious ailments will be able to obtain it. Amendment 2, approved Tuesday, Nov. 6, 2018, requires the state to begin accepting patient applications by early June, and to begin accepting applications for dispensaries by early August. In the wake of what appears to be the passage of Proposition 2, I would encourage our state legislators to recognize the will of the people in appropriately applying the statutes that were agreed upon and the terms of the proposed law. Should any state representative or member of the Legislature take it upon themselves to say that "the people really wanted to accomplish ‘this,’ ‘that’ or ‘the other,’” we should loudly and resoundingly remind them that a citizen initiative that is brought to ballot and approved in an election ought be recognized not as a suggestion, but the will of the people, and not a matter to be taken lightly. I remember hearing a story once about someone who thought they'd “save the masses” from themselves by restricting the free will of people for the sake of their own glory. I'm pretty sure there was a war involved. In this case, the higher power would be the people, and it should be their will that is followed, not the will of those who would only seek to enrich and elevate themselves.